Our organisational structure includes a Board of Trustees who keep a close eye on our services and values. Our Board comprises of 12 members; the majority are elected by shareholders at our Annual General Meetings, and there are three Church nominees. Although serving in a voluntary capacity, our Board members possess a balance of skills and experience, from both public and private sectors. Dee has over twenty years’ senior management experience within the construction and development sector, the last ten years of which were working exclusively with affordable housing clients. Dee was one of the founding Board members of Woman in Social Housing (WISH) and currently sits on the south-west regional board of WISH. She recently served as Chair of Greenoak Housing Association and is currently Deputy Chair of Probus Housing Society, where she has worked to develop and implement an Asset Management and Development Strategy. Dee currently works as a business consultant engaged with a number of FMCG and Retail Companies in customer experience research. A fellow of the Royal Institution of Chartered Surveyors, Rodger has spent over 35 years in local government, most recently as Head of Property for Southampton City Council until his retirement in early 2016. This role involved developing the Council’s Corporate Property Strategy and carried responsibility for revenue budgets totalling £37 million per annum and capital budgets totalling £34 million. Rodger’s senior-level management experience offers strength in change management, strategic and financial management, and all aspects of property management. From 1974 to 2004 Julie was employed by Barclays Bank where she undertook a wide range of activities latterly as Lending Manager lending to business up to £5m turnover. From 2004 to 2009 she worked for Business Link providing help and support for businesses which she continued to do through her own business until 2013. Then until her retirement in 2013 Julie ran her own businesses offering management consultancy and networking suppers for professional and entrepreneurial women. Julie has been a member of the BCHA Board since 2014. She currently serves on BCHA’s Audit, Risk and Treasury Committee and is also a director of Winchester Churches Housing Group, one of BCHA’s subsidiaries. Melanie has worked as a lawyer in private practice and in local government for Weymouth & Portland Borough Council and for the Dorset Councils Partnership. Her senior management roles have included Head of Governance, Head of HR and Housing Services Manager. Melanie now works part time for the Office for National Statistics and also delivers training and complaints handling for councils across the south west. She has been a BCHA Board member since 2015 and Chair of the Audit Committee since 2016. A Chartered Accountant and Corporate Treasurer, Gill has 18 years’ experience working at senior manager and Finance Director level within the Social Housing Sector. Gill brings to the Board strong financial management and financial reporting skills, with the ability to think strategically and analytically, along with experience in managing subsequent innovation or change. Jonathan qualified as a Chartered Architect in 1989 and is currently Head of Land and Planning at Radian Ltd, responsible for delivering a programme of approximately 600 homes per year across six counties. Jonathan has developed and implemented design and quality standards for Radian, which has won several awards over the last seven years for design and sustainability. Jonathan is a non-executive Director of SECBE, a regional board for Constructing Excellence in London and the South East, a RIBA specialist Housing Group member, and judge on the panel for the Constructing Excellence awards. A qualified Social Worker, Gerry has 23 years’ senior management experience in Local Authority children’s social work, including 12 years as Head of Children’s Social Care in the Borough of Poole until her retirement in 2016. Gerry’s role provides experience in the commissioning environment and the local political scene, together with a clear understanding of risk, due diligence and appropriate attention to detail. 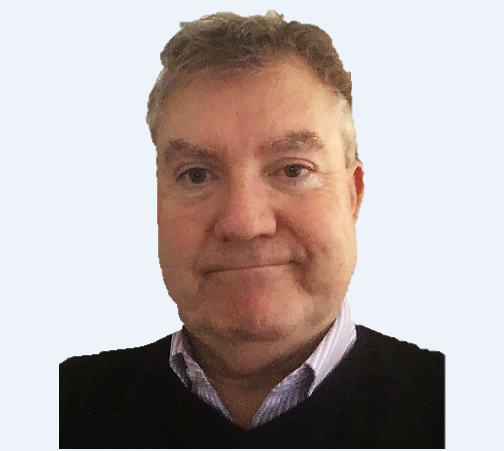 Gerry brings to the Board experience in driving high professional standards and expectations in front line practice, with a focus on organisational culture, staff engagement and continuous professional development. A recently retired Finance Director, Sally has current experience of the Social Housing sector including regulatory and funding requirements, along with extensive experience of corporate treasury and tax, financial and management accounting and control, acquisitions and disposals, insurance and business re-engineering. Sally currently sits on the Board of Ability Housing and chairs its Audit, Finance and Risk Committee. 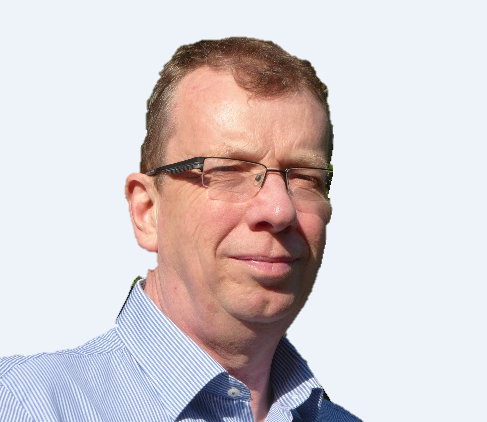 Paul moved to Bournemouth in 1976 after qualifying as a solicitor, subsequently becoming senior conveyancing partner of a local firm of solicitors, and is now a consultant. For thirty years he has been involved in family property letting, management and development companies. Paul’s interests include nature conservation, literature, cricket and cycling. Paul is a trustee for Vita Nova. In 1986, Dylan became a GP, and later a Senior Partner, at NHS medical practices in Harpenden, until his retirement in 2016. Throughout that time, Dylan was also the Chairman of the Hertfordshire Drug & Alcohol misuse service for 11 years. He was the Chairman of a Clinical Commissioning Group for 10 years, and has experience in procurement management also. Following his retirement, Dylan now volunteers as a trustee in Streetscene Bournemouth alongside his role at BCHA. Mike has a degree in politics and a masters’ degree in health policy and management. He has worked in the NHS since 1987. From 2000 he held a number of leadership roles as the Chief Executive at Mid Sussex Primary Care Trust; Chief Executive at NHS Hammersmith and Fulham; and later as Chief Executive at NHS East Sussex, responsible for two multi-million pound organisations. In 2014 Mike became the Director of Service Delivery at NHS Dorset CCG. Mike now works as a Transformation Director for the Bath, Swindon and Wiltshire Sustainability and Transformation Partnership. He was a non-executive member of Building Better Health in North West London and has sat on a number of Crime and Disorder Reduction Partnerships and Safeguarding Committees and he has had a number of consultancy roles. Membership is open to individuals aged 18 years or over, including BCHA residents, as well as organisations. We particularly seek to encourage applications from minority groups. In 2010, BCHA formally adopted the National Housing Federation's "Excellence in Governance" code. Click here to view our Self-Assessment against Adopted Code of Governance. If you have any queries about this, please address these to our Company Secretary. Click here to read our BCHA Governance Framework.